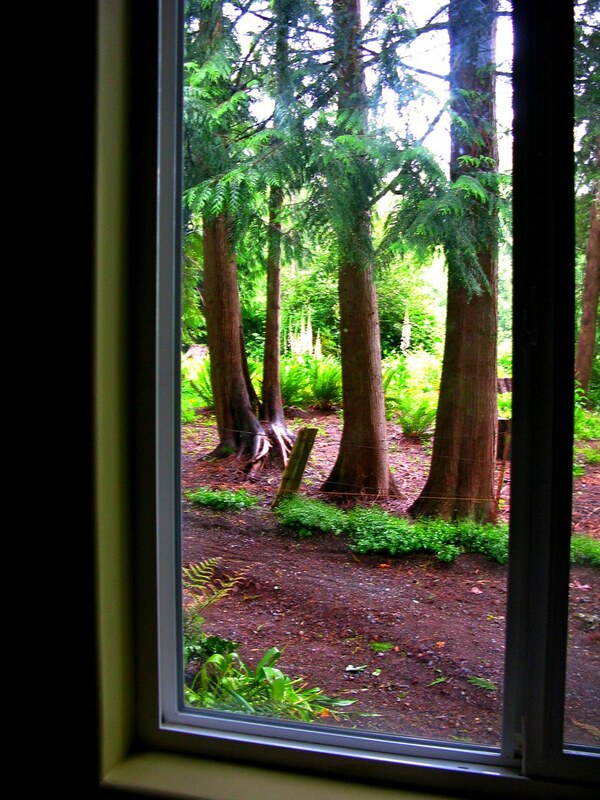 The view out of my darkened office window on June 6, 2010. 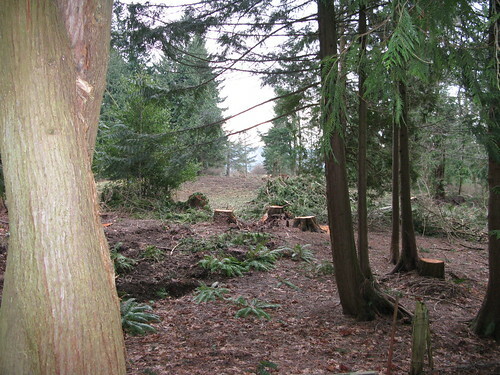 This is what it looked like after they cut down the trees and ran over and turned their heavy equipment around on a fern covered forest floor immediately behind our house in January, 2009. For more about what happened, read my post: Toad Lake Logging: Is 80% enough for them? I don’t see this kind of logging any differently than I see what is going on in the Gulf of Mexico at the hands of BP and its cronies. 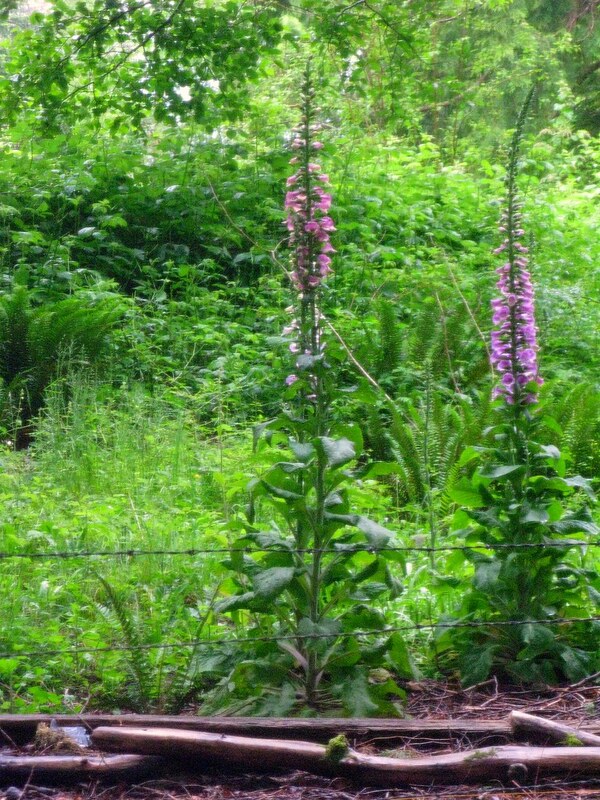 What my neighbor’s trustee did to the woods here was only different in scale. 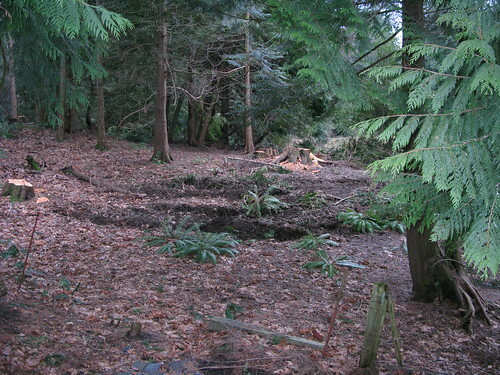 It is kind that they have not objected to our cleaning up the mess and encouraging some wildflowers and replanting uprooted ferns to grow where they left carnage, but the woodcutters have not returned to plant trees or to remove the piles of detritus. It was pretty clear that they would not do that work, even though the state permit requires it. They took the wood and left the debris. There is no enforcement of rules about cleaning up after the logging process. With their heavy equipment and giant chain saws they destroyed the gentle slope of the meadow where cattle once grazed and girls rode horses. The path where joggers ran around the west side of the lake is gone. They have moved on to pillage elsewhere. Blackberries have now grown over some of the massive heap of sticks and branches they left behind, and I can only see it from the second story deck, but eventually the brambles will engulf it in berries. It’s just about to flower and there will be lots of blackberry jams and syrups made this summer. 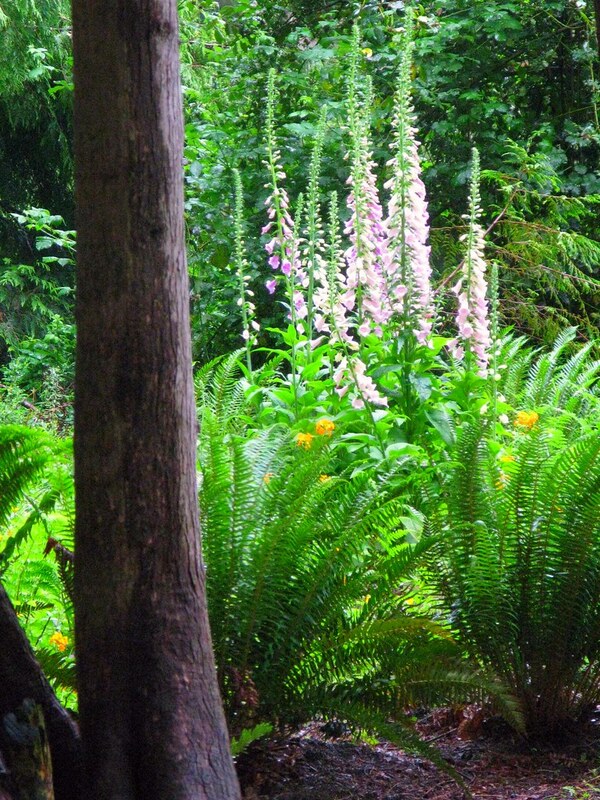 This entry was posted in ENVIRONMENT, Garden, Pacific Northwest Beauty and tagged Bellingham, environment, gardens, toad hollow, Toad Lake by Susanne Freeborn. Bookmark the permalink.